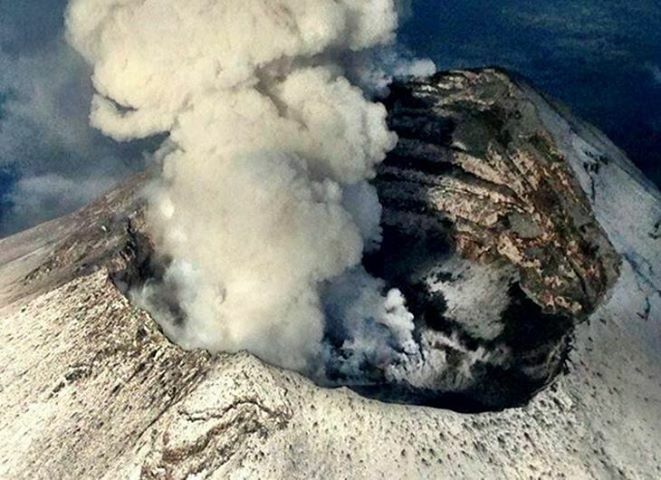 The famous volcano near Mexico City and Puebla has been increasingly active for several months, including throwing massive amounts of ash into the air. Mexico City airport – 40 kilometers away, was shut down briefly earlier this week because of ash. The alert level is just one step short of calling for evacuation. Here’s the link to El Universal newspaper. This entry was posted in Mexico Photos and tagged Mexico, Mexico City, Mexico City International Airport, Popocatepetl, Puebla, Volcanic ash by brucecritchley. Bookmark the permalink.